36/10 is .00019 MF and 55% residual. Have to run it both ways, to see which one is cheaper. What's the lease details and incentives on the 2016 iTouring sedan/Automatic with 33,36,39 lease term and 15k miles per year in Maryland? 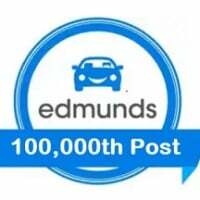 Thank you for all the support Edmunds. Finally leased the 2016 Mazda3 iTouring AT Sedan after looking at Elantras, Sonatas, Golfs, Jettas and Sentras. Below are the details on the 39month lease with 15k miles/year. $205 base payment for 38 months. Congrats - enjoy the new 3! Some information that may help someone else if the sales manager was telling me the truth. The sales manager showed me his software after I complained about the base payment Vs MSRP. For nationally advertised prices ($199 lease) the money factor was locked (I assume residual also since its based on MSRP) and required the dealer to lower the sales price to match the nationally advertised base price (less title and fees). In the fine details on Mazda.com it mention "dealer participation required". He said that meant for him to lower the sales price to make the numbers match including the $500 Mazda Customer Lease Support . When listening in on other customers this dealer always lowered the sales price from MSRP when presenting the first numbers. I mention this because I wrongly assumed the advertised price ($199) was based on a sales price of MSRP. In my case I got $205 base payment with the additional preferred equipment package ($1000) with $266 in other fees included and free remote start. I am guessing I probably could of worked them more on the sales price but after 3 hours I was ready to sign and drive. Some information that may help someone else if the sales manager was telling me the truth. The sales manager showed me his software after I complained about the base payment Vs MSRP. He said all calculations are through Mazda (they are responsible for mistakes) For nationally advertised prices ($199 lease) the money factor was locked (I assume residual also since its based on MSRP) and required the dealer to lower the sales price to match the nationally advertised base price (less title and fees). In the fine details on Mazda.com it mention "dealer participation required". He said that meant for him to lower the sales price to make the numbers match including the $500 Mazda Customer Lease Support . When listening in on other customers this dealer always lowered the sales price from MSRP when presenting the first numbers. I mention this because I wrongly assumed the advertised price ($199) was based on a sales price of MSRP. In my case I got $205 base payment with the additional preferred equipment package ($1000) with $266 in other fees included and free remote start. I am guessing I probably could of worked them more on the sales price but after 3 hours I was ready to sign and drive. Thanks for the update. And, shrewd negotiating should get you a deal better than the advertised offer. In addition, a large down payment is often necessary - we don't recommend that. .00007 MF for 24 months, .00008 MF for 36 months. Hi there! Looking for residuals and MFs for 2016 Mazda3 s Grand Touring hatchback, automatic, no packages, for 33, 36, 39 mo lease term with 12k miles per year in Wisconsin. Thanks in advance for your help! Looking for MF/Residual for a 2016 Mazda3 iSport 4door in Connecticut for 39mos/12k mi and 39mos/15k mi. I got qualified for this advertised deal with cookie cutter terms it looks like. Planning to sign tomorrow. What's negotiable and reasonable for me to ask for? I want extra things without paying extra... or minimal. My payments for the base model - which is what I plan on - will be $225.72 (209 plus tax). MSRP $18,895 plus $820 destination charge. Payment based on capitalized cost of $19,510. Total payments of $8,145. Dealer participation required. Not all lessees will qualify for $0 down payment and lowest payment through participating lender. Some payments higher, some lower based on residency and other factors. Lessee responsible for excess wear and mileage over 39,000 at $0.15/mile. Purchase option at lease end for $11,632 plus tax or price negotiated at signing. Take new retail delivery from dealer stock by 1/4/2016. See participating dealer for qualifications. Capitalized cost? That is the selling price + acquisition fee. You can negotiate selling price. Residual? That is set by the bank. Purchase Option fee? Not negotiable. Mileage limit? You can get a higher limit, but that will result in lower residual and higher payment. My payments for the base model - which is what I plan on - will be $225.72 (209 plus tax). Good luck with that. If you get that, you'll have a good deal. MF/Residual for a 2016 Mazda3 S Grand Touring 4door Auto w/ Tech Package in California for 36mos/15k mi and (whatever but less than 36)mos/15k mi. i added the maintenance and the alarm and it came out to 252/month (tax included). i asked what kind of discount i could get for the maintenance and the alarm. i think he gave me a price of around $1400..? it would have brought my pmts put to $275-280 or so. i asked if he could bring it down to 250 then i'd go for it. he said he couldn't at first. so i politely said no. he came down to 265 or so. i appreciated the gesture, but still declined. finally he came down to 252. i didn't really want the maintenance so much but having the alarm is peace of mind. Been lurking here for a while, thanks so much for all of the useful info! I'm looking for the MF/Residual for a 2016 Mazda3 iSport 4door Auto w/ pref equip package in Virginia for 39/12, 36/12, 39/10 and 36/10. Thanks! !